VIP Program Survey...End of VIP Points?? 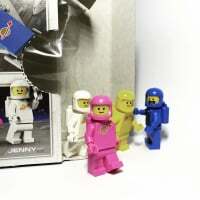 Hi all, I completed the usual Lego VIP Program survey last night when I got home from work as I am sure many other people have done in the last few days. However when filling it in there did seem to be quite a lot of questions about VIP Points and what possible alternatives I would like to see instead of points. The options given for possible replacement of the points included free exclusive mini figures, access to exclusive web content, access to buy VIP only sets and a couple more options I really was not interested in. Only one that I would be really interested in was free exclusive mini figures/poly bags, but we seem to get them with certain purchases anyway. Just wondered if anyone else got the same impression as me ?, or am I just reading too much into the multiple questions on VIP points and what I "might" be interested in should they ever been replaced. I've seen the same questions before ages ago. I think they came up because I accidently put 4 out of 10 on the VIP satisfaction scale. Not heard anything about a survey myself. I started a survey a couple of days ago but it crashed after about 4 questions and dumped me out to the Lego shop website. I received a survey about a week ago that I had not had before, which asked questions purely about the VIP program and whether I thought it could be improved with a greater number of events and exclusives for VIPs. It asked about how highly I valued each benefit of the VIP program, so perhaps that was hinting at some changes to be taking place soon. I don't think it would bother me too much if they got rid of the VIP points. I only ever purchase from lego when there is an exclusive promo or the set is exclusive to them. Removing VIP points is not going to change that, as that will still be the only way to get the exclusives. Sure, they are nice to get a little off the price, but that isn't a driving factor at all. The driving factor for me is that I cannot buy whatever I am buying, or get the "free" promo, from anywhere else. No, I don´t want them to end the VIP points thing. 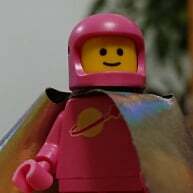 Exclusives are hardly available here in Finland and the only way to get them is from [email protected] And I like to travel to other countries and go to the lego stores and buy exclusive sets that are much cheaper there. Like Sandcrawler (350€ in Finland, 300€ in Germany). How many of us are currently deciding what to buy when the next double vip points period begins? No, the VIP program is a great scheme that works well with a complement of additional options but always with points at it's core. Well I really hope they don't replace the points scheme, I have been saving mine up for a while now. Just seemed to be a few hints at what I prefer, as CaptRex pointed out and was asked to give the choices a rating. Think it is me just reading too much into it, well that is what I hoping, well at least until i have spent all my current points. But don't they make more money if we buy from a lego store as opposed to a toys r us or target? Not necessarily - while obviously a higher percentage stays in the company they spend more in doing so, there are more overheads in staffing, store rental, shipping etc than doing bulk sales to retailers. I suspect it's the sort of thing that they pretty much constantly review to make sure that it's worth them doing. Well I really hope they don't replace the points scheme, I have been saving mine up for a while now. TLG made a right mess of my account last year and I did wonder if they might close it in despair. It occurred to me that if they mess up again there's no guarantee that £50+ of value wouldn't just disappear. I now spend points as early as I can. @suprajames I've filled out countless surveys over the years and haven't come across those options. So, I tried an experiment and ranked my VIP experience very low, along with the recommend option following. The survey zeroed in on my second response and wanted to know why I wouldn't endorse the program to another shopper, but nothing about possible options to receiving points. Even after ranking the recommendation high while personal satisfaction low, the survey clung to "why would you recommend the VIP program". So @Kevin_Hyatt 's approach didn't work for me. And I took the survey anonymously through a clean link (not via my email),so it wouldn't possibly skew my answers. I'm in agreement with @Lego_Star . However, if points were to go, I'd agree in exchange for discounts on exclusives. 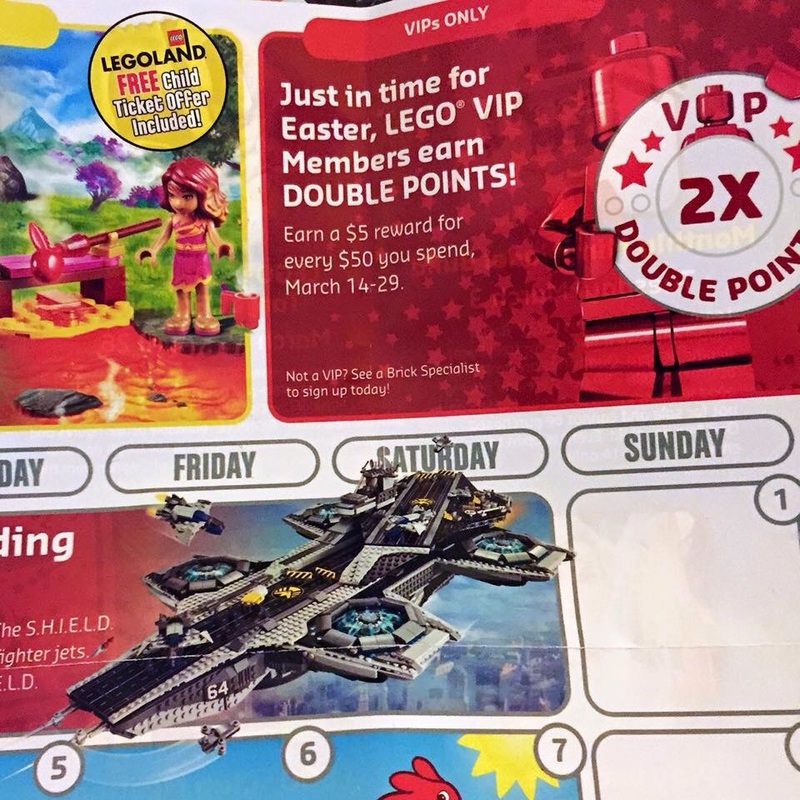 VIP points is a simple incentive that's always there (provided you signed up) to buy from LEGO brand stores and LEGO shop at home regardless of what other promos are/aren't on, in an environment where they 100% control their offerings. It's an incentive at any time, on any set, pab, bam bar or pab cup purchase. What could appeal more directly to everyone and anyone at any time and make them feel like a special customer than that? If VIP points ended I would just buy all my exclusive sets from Target with 5% Redcard discount instead. I think my Lego purchases would just dwindle to pick-a-brick cups here and there. I would be greatly disappointed if the VIP points were discontinued. Like @Lego_Star said, I to am plot what I will getting during double VIP points. Though I have not yet seen the survey for this year. I took it last year. When purchasing in store, I frequently incur "Point balance unavailable. Your loyalty points will be processed offline at the earliest convenience" for my transaction. I thought this was a common problem that represented an outage in the system and happened to everyone during that period, but I was wrong. In my cases, they were unique to my transaction. It happened three separate times on receipts over $1000 that involved some discounts, so my theory is that on a large complicated transaction, it just gives up. Even worse is that the manager has to manually enter points at a later date and it's pretty hard to follow up since the online system shows a very narrow view of the most recent line-item purchases. In each instance, my case had to be forwarded on to a department that can access my entire VIP history for correction. In my case an order went zombie. Every time I tried to get TLG to do something about this, it created one or more zombie orders. By the time a real-life proper order was put in place it looked like I'd gone insane making loads of repeat orders. Basically, anyone in TLG looking at how my account appeared would have assumed I was up to some mischief. At that point I realised that storing up lots of VIP points for future use might not be the best way to use them. I enjoy the points, but them getting rid of the VIP wouldn't change how I buy. I buy from [email protected] when I get free polybags and such, or exclusive sets but otherwise I usually go for Target which is usually cheaper. And letting the VIP's buy some sets early doesn't do anything for me either, I can wait an extra month if need be. "How many of us are currently deciding what to buy when the next double vip points period begins?" Still tempted to use my current points to get a very nice discount on UCS Slave 1 when its back in stock at the end of the month. Same happened to me too. The Lego questionnaire I got sent via email suggested it'd take 15 minutes, but I didn't get past the first question, (asking about being in marketing/branding/design type industries). I clicked those that applied, thinking 'finally, a survey i might find interesting', but when i hit continue got directed to the lego website, and couldn't restart the survey. D'oh. I would miss the double VIP points and a few other perks. Target Red Card offers 5% so it's like the VIP card. And if you can get the Lego on sale + the 5%, that's a bonus. VIP points and even double VIP was never a strong incentive for me. There were better deals elsewhere on a regular basis for non-Exclusives or at a later time with promo figs/holiday sets for Exclusives. But the 5% extra is better than nothing during those promo fig months. Case in point is this upcoming Double Vip. I'm a bit nervous on the Ewok Village and could easily pick it up then to get the bonus $12.50 in points. Or a better idea to wait a few weeks for May 4th to score a promo Yularen or who ever it may be, that would be worth more (plus chance of EV being on sale). This is with using a $250 RRP set as an example, if choosing to go with >$80 sets to cross the usual $75 threshold then it would make Double VIP even worse of an option. I've never had a problem with my VIP points, but one time the entire mall's internet was down and they had to do my card transaction with the old sliding credit card imprint machine. My kids were blown away. I usually save my VIP points for the next modulation each year. It tends to being the price under $100. If they discontinued the program, I'd would definitely cut down on my Lego store purchases. Every bit counts and it works out to be a tangible benefit at the expenditure levels in which many of us partake. I'll usually buy from whichever retailer offers the lowest price, even down to the dollar, and ties go to LBR because I can expect good customer service, undamaged boxes, etc. I estimate that LBR gets about 30% of my spend. Since the reboot of the VIP program, that has amounted to about $4000 in rewards. @brickdancer upcoming double vip points??? ^ I believe it is supposed to be from about the 14th, although that is unconfirmed. I will be back down South so will probably pick up a Pirate Ship in Brighton if/when it's on. @obi_g yes the Cap'n is correct on the date March 14-29 to be exact. I have a pocket full of cash burning a hole in my pocket, just waiting for the double VIP points. The next likely double VIP points event will be in October 2015 if history holds true. The big decision for me is what exclusive sets I need to pick up before March 29th that won't be around by October.